I am very glad that I finished reading The Professor last week. It is uneasy for me resuming reading the book after I abandoned it some weeks because, frankly speaking, I couldn’t bear of reading many sentences in the French language here and there. To be exact, I find it very disturbing that I had to look at the Note section to find out what those words meant. So I skipped, I barely read the words. In consequence, I didn’t enjoy reading the book. Once the amount of French words began decreasing, I gained my enthusiasm reading the novel. By still feeling inconvenient because of the French language, I managed to have digested the rest of the book. Compared to Jane Eyre, The Professor actually conveys much diverse topics. What I mostly love from the book is how Charlotte Bronte brings up education topic. What looks like an accident for William Chrimsworth to be a professor turns out to be the major line that connects him with his future wife, Frances Henri. I find it very beautiful that their matrimony later brings them opening school, teaching pupils. William who is once underestimated by his own brother and Frances who gets her eyes tired of being a lace-mender, now become well-respected people thanks to their ideas of applying good education curriculum. Charlotte Bronte’s way of bringing up stories about patience, endurance and faith, as I find in Jane Eyre, is seamlessly told here. I always admire Charlotte Bronte’s focus on the process of achieving dreams despite thorns that may sting the characters’ journeys. Another thing that I like most of the story is the romance itself between William and Frances. Again, Charlotte Bronte emphasizes on simplicity, even in love, an emotion that for some people, may boost their feelings, put them in a rollercoaster-kind of mode. Unattached by relatives (for William’s only friend is Hunsden while France’s only aunt passes away), the two souls eventually find company in each other’s arms, a home where which the sweetness of their love tale is materialized in actions, supports and motivations for attaining their dream; building a school. Their romance is filled of by hardworking and persistence but there lies its kind of beauty in it. The Professor offers me a unique view about friendship. Here, William’s fate is helped by some unlikely people in his life, in particular Hunsden, who dislikes his brother, Edward, yet sympathizes with William since his doomed days in Chrimsworth Hall. Despite his satirical, witty traits that draw uneasiness upon Frances, Hunsden is always there for William. He offers helps, gives good advice which it’s true when he frequently asks for a ‘thank you’ in exchange for what he does, but I don’t think William pays him back in proper ways. So, probably, that is why Charlotte Bronte ends her story with Hunsden being in the last pages of the book featuring Victor, William’s son. William doesn’t verbally thank his good buddy but the fact that they spend their old years living closely to one another is more than enough to emphasize how much Hunsden means to William’s life. Much like his deep love for Frances that isn’t translated into flowery words, so is his thankfulness for Hunsden. And I think that what makes The Professor a worthy of reading for gaining values on life, love and friendship the way they should be. 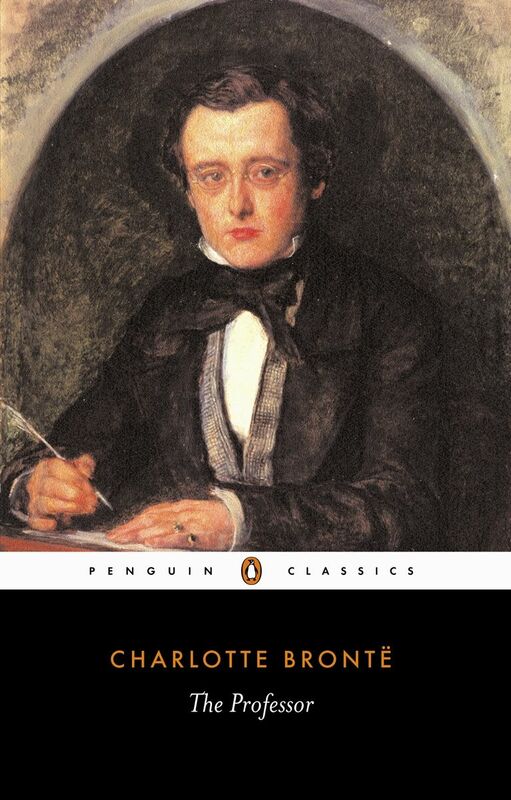 I have been 10 days reading ‘The Professor’ by Charlotte Bronte. The title wasn’t into my to-be-read list before I went to Kinokuniya bookstore in Central Jakarta after I covered an e-sport-related press conference last Thursday. I was expecting I would buy ‘The Woman in White’ by Wilkie Collins despite the relatively expensive price. But when I got there, the novel was gone. Someone probably had bought it. I couldn’t believe that I was so disappointed at that time that I was encircling the literature section of the bookstore to tame the sadness. I finally bought ‘The Professor’ after I read its first page via Gutenberg online reading. At least the first page was impressive, so I thought at that time. Then I bought the novel without much excitement as when I purchase ‘North and South’. But at least (again) I will have some good readings to accompany me wherever I go. It’s Charlotte Bronte’s book, by the way, though it isn’t as popular as ‘Jane Eyre’ but it must show me her wonderful story telling. And you know what? I was awed by the book because of the author’s very bold, brave stance. On the back of my mind, “Oh! This is indeed Charlotte Bronte!” The protagonist, William Crimsworth, is a very interesting character to study. He quickly gets my heart because of his courage wrapped in his silence when it comes to dealing with his own brother, Edward Crimsworth, who is more like his authoritative boss. By the time William is eventually able to get rid of his brother although he is poor, I am so relieved. There is nothing more gladdening than reading your hero or heroine finally makes up his or her mind leaving people or situations that put them living like in a hell. When I mention William is an intriguing figure to study, I tell you bluntly. Because actually, by the time I write this I seem don’t understand his real trait by the time he moves to Brussels to teach students there. Why so? It’s too early to conclude that William changes because of the new environment he now lives in. All I feel throughout reading the new chapter of his life is that he is no longer that quiet. He in fact is a very careful person whom he deals with, for instance with Mlle Reuter, a headmistress of the school William teaches at. He also studies the characters of his young female students, physically and characteristically. I can read his sarcasm, his way of protecting himself from, say, one of the female students who wish to get his attention in classroom. William attempts to be himself, guard his personality amid various types of traits, mostly are women, in his new surroundings. It’s surprising to get to know this mysterious hero written by Charlotte. I can’t now tell he is a simple man because he in fact reads people. I can’t also conclude he has no ambitions in his profession or romance as he simply flees to Brussels to earn a living. Teaching isn’t his chosen work as he works as a translator at his brother’s mill. What rather distracts me reading the book is because many French conversations are in it. I am lazy to open the last few pages of the novel to find out what they mean. Other than that, I am interested to know what William life will end up. And I will discover that after I have to read ‘the map reading’ by William which is quite hard to grasp. Masih terbayang secara ‘sadis’ pengadilan sosial untuk tuan Bulstrode saat novel Middlemarch menuju akhir setelah perjalanan membaca yang sangat panjang. Dalam forum tersebut, tuan Bulstrode diadili oleh tetangga dan kawan-kawannya usai mereka tahu Raffles, seorang dari masa lalu Bulstrode yang tahu benar cara licik bankir tersebut hingga bisa kaya raya seperti sekarang, meninggal dunia. Singkat kata, publik menghakimi tuan Bulstrode lah yang membunuh Raffles agar ia tutup mulut padahal tidak sama sekali meski tuan Bulstrode sudah kadung jengkel diperas oleh Rafles jelang kematiannya. Tetap saja tuan Bulstrode tak bisa menghindar dari forum tersebut bahwa memang ia menempuh cara kelam agar bisa makmur. Publik pun menilai uang amalnya ke kaum papa hanyalah semacam “penebus dosa” atas perbuatan jahatnya selama ini. Yang paling menyebalkan tentu saja nasib Dr. Tertius Lydgate, dokter muda penuh bakat yang “kecipratan” reputasi buruk tuan Bulstrode. Publik ikut-ikutan menilai sang dokter mencicipi uang haram tuan Bulstrode hingga akhirnya memaksa Dr. Tertius benar-benar angkat kaki dari tempat itu. Itu adalah sepenggal adegan dalam salah satu novel yang aku sayangi. Meski bukan buku paling aku favoritkan, Middlemarch merupakan novel kehidupan atau living book yang sangat aku rekomendasikan bagi siapa pun untuk dibaca. Bisa dibilang ini novel kehidupan yang paling kaya, komplet dan mewakilkan kondisi banyak orang di suatu tempat, tak terkecuali di Indonesia. Kesemuanya bisa tercermin secara gamblang berkat kemampuan menulis George Eliot yang sungguh bagus. Middlemarch merupakan contoh novel kehidupan yang mengandung pesan penting nan berat tetapi membungkusnya dengan fiksi yang menarik. Imajinasi yang detil tentang orang, tempat hingga kejadian membuat pembaca awalnya abai dengan ide yang Eliot ingin sampaikan. Setelah sanggup menawan hati pembaca dengan cerita yang menarik, barulah mereka akan mulai menggenggam apa maksud kisah ini. Bukan hanya itu, mereka akan akan mulai merefleksikan karakter yang ada di dalamnya dengan diri mereka sendiri atau orang di sekitar mereka, hingga situasi sosial saat ini. Jika kau adalah putri baik hati, perempuan lembut tetapi kuat, karakter Dorothea Brooke bakal memukaumu. Jika kamu adalah tipikal orang yang sangat idealis, Dr. Tertius akan banyak mewakilkan pandangan hidupmu. Atau jika kamu cowok yang satir dan mempunyai jiwa seni tinggi meski hidupmu pas-pasan, tengoklah Will Ladislaw. Novel kehidupan mempunyai tipikal fiksi yang dari permukaan dan pada awalnya terbaca ringan, menyenangkan tetapi lama kelamaan begitu pembaca mulai membenamkan hati pada cerita atau karakternya, mulailah novel jenis ini menunjukkan taringnya yang sesungguhnya: kedalaman isu yang ingin disampaikan oleh sang penulis. Novel macam ini mengajak pembaca belajar, mulai dari berimajinasi, mencerna maksud penulis lalu memikirkan nasib karakter hingga kemudian mengambil banyak pelajaran dari situ. Hal-hal berat ini bagaimana pun menjadi menarik untuk diselami sebab kita sudah kadung suka dengan cerita, tokoh atau gaya kepenulisannya. Novel semacam ini banyak ditulis oleh abad ke-17,18 dan 19. Salah satu contoh novel kehidupan lainnya yang saya sukai adalah cerita-ceritanya Thomas Hardy. Sebenarnya mayoritas bukunya muram dan sedih hanya saja saya suka membacanya sebab karakter dia begitu humanis selain banyak mengangkat jati diri perempuan pada masanya. Katakanlah, Micheal Henchard dalam The Mayor of Casterbridge, yang hingga kini masih menjadi tokoh fiksi favorit saya sebab kompleksitas hidupnya sebagai anak manusia, dari orang yang nggak benar hingga menjadi walikota. Tokoh yang semrawut tetapi pelan sanggup menarik simpati saya sebagai manusia pada umumnya yang tak pernah bisa luput dari yang namanya dosa dan kesalahan. Ada banyak pelajaran yang bisa dipetik dari seorang keras kepala tetapi sangat sabar seperti Jane Eyre. Bagi banyak orang mungkin dia perempuan yang sok kuat tetapi buat saya sendiri karakter dia yang sungguh idealis membuat saya kagum. Saya masih ingat adegan dimana dia harus memakan bubur sisa orang untuk bertahan hidup setelah dia gagal menjual sapu tangannya agar bisa makan. Buat saya novel Jane Eyre memberikan pelajaran sabar yang teramat sangat manis dan indah pada akhirnya, yang sekali lagi, disajikan dalam fiksi luar biasa buatan Charlotte Bronte. Buku kehidupan memang pada dasarnya hanya berupa cerita rekayasa, nama dan tempat banyak yang tidak ada. Tetapi sukar untuk tidak mengakui membaca buku berkelas seperti ini tidak memberikan kesan selain ceritanya yang bagus atau tokohnya yang menarik. Buku semacam ini selalu bisa meninggalkan bekas berharga bagi saya sebagai manusia zaman modern. Meski beberapa nilainya terdengar klise, seperti belajar sabar, setia, percaya pada orang lain, novel kehidupan seperti yang saya sebut di atas somehow membuat saya untuk mengunjungi nilai-nilai penting dalam hidup tersebut. Baru saya sadar dari novel semacam ini saya sebenarnya banyak belajar tentang nilai penting dalam hidup dengan cara yang sangat menyenangkan.